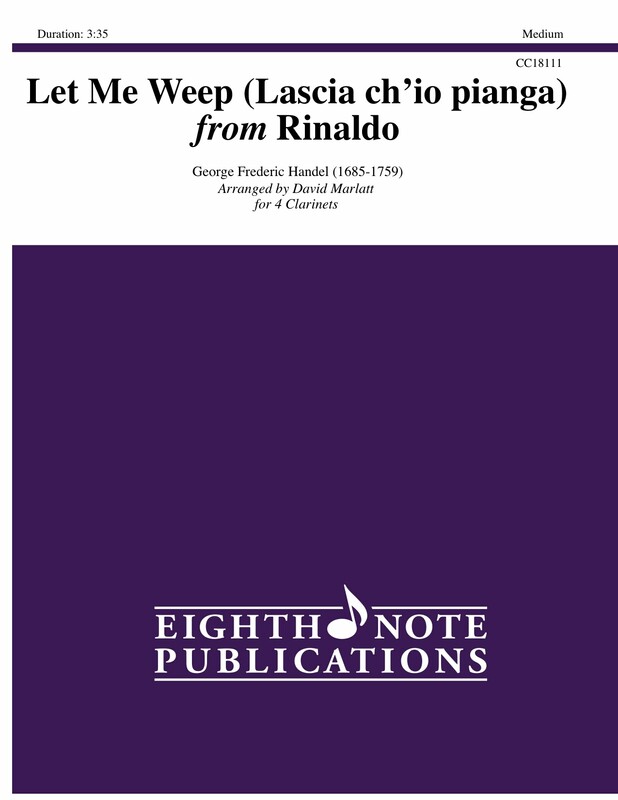 This beautiful slow piece is ideal for that change of pace piece on a concert. Its lyric nature also makes it a perfect selection for weddings or church services as pleasant, quiet background music. This work was originally a soprano aria and the lyrical line is great to demonstrate the singing quality of the clarinet.